What are the Signs, Symptoms, Causes, and Treatment for Depression in Women? Women have many roles to play in life; employee, friend, wife, mother, caretaker. Throughout life, these roles have their ups, they also have their downs. A few of these changes may be the stress of life, arguing with a friend, or even hormones. With that said, depression is actually twice as likely to affect women than it affects men. But what are the causes? Are there any symptoms to depression in women? Just as no two women are the same, neither are the symptoms of depression. Depression can take on many forms. From feeling down in the dumps, to not being able to get out of bed, knowing what to look for can aid in regaining control of your life. Feeling exhausted or weak for no reason. Inability to focus for long periods of time. If you feel more than one of these symptoms or you’re feeling suicidal, seek medical attention immediately. Nothing is without cause and depression is no different. Many times, it's difficult to even know why we feel depressed. We just feel unhappy and can't figure out why. However, there are several causes of depression. Here are some of the major causes of depression in women. Women who have experienced any physical, emotional, or sexual abuse may suffer from clinical depression as a result of the abuse. Regardless of when the abuse occurred, it still may cause depression for the victim. Even if a significant amount of time has passed and there have been no symptoms of depression, triggering events or memories may occur. Having a family history of depression can lead to an increased risk of depression. This is why it is important to remember that depression is a medical condition, and is more complex than simply your emotional state. Just as your family medical history and hereditary factors play a role in your susceptibility to things like cancer, heart disease, or diabetes, the same is true for depression. Women who are part of a big event like getting a new job, graduating from college and even getting married may experience depression as a result. Even if the major life event is a positive one, it may still be a triggering factor for depression, especially if it brings along large amounts or new sources of stress. Fortunately, there are a variety of ways to treat depression in women. Every patient is different and no two are affected by depression the same way. However, with the help of a licensed professional to find the treatment that works best for each patient, even the most severe cases of depression can be treated. Here are the types of treatment for depression offered by our team of licensed professionals here at MidValley Healthcare. Transcranial Magnetic Stimulation Therapy (TMS) is a noninvasive procedure that uses magnetic fields to stimulate nerve cells in the brain. This non-drug treatment is FDA approved for the treatment of Major Depressive Disorder. TMS is typically used when other depression treatments haven't been effective. 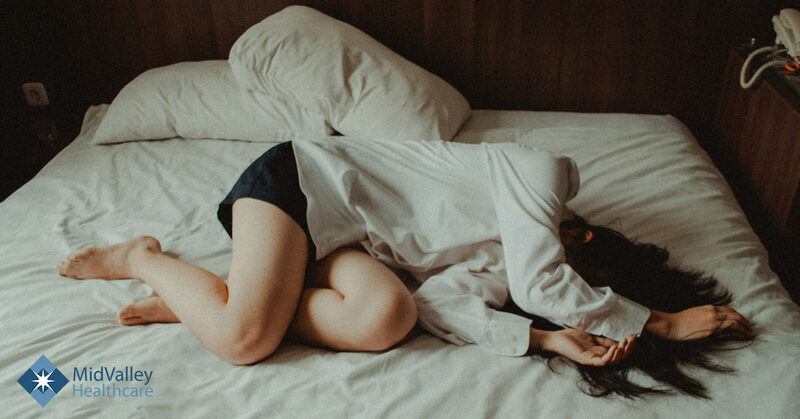 If you suspect that you or a loved one might need help with depression, our team of licensed professionals here at MidValley Healthcare are here to help. We work with clients on an individual basis to achieve a happier, healthier life. Contact us today to make an appointment.